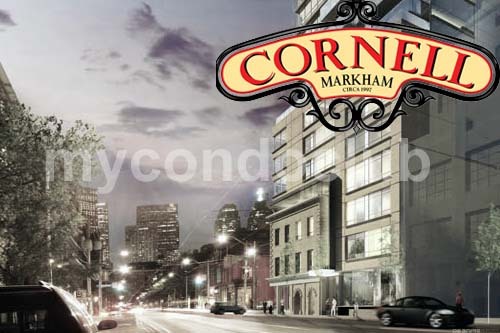 Cornell Condos & Towns Phase 8 is a new condo development at Bur Oak Avenue, Markham ON L6E 1H8 located at Bur Oak and Church. Cornell Condos & Towns Phase 8 will have condos and townhouses with amenities like fitness centre, entertainment lounge and outdoor space for BBQ. Cornell Condominiums is a family friendly condo with schools in the area. Markham Stouffville Hospital is also in the area. 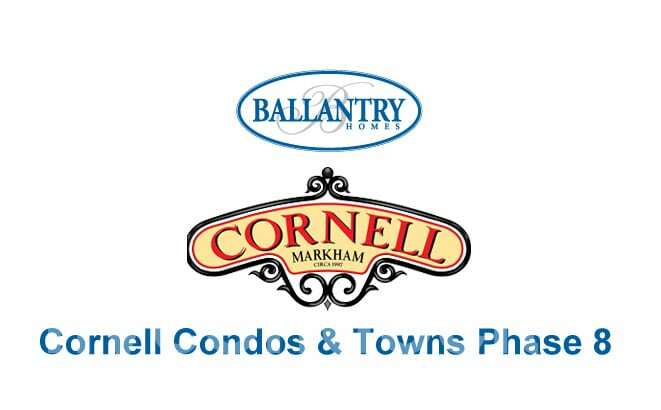 Cornell Condos and Towns Phase 8 will have Freehold, 3 & 4 Bedrooms, Double car garage and Modern Interior Townhomes in Markham. Amazing panoramic views of Lake Ontario, The Toronto City Skyline from this exclusive outdoor terrace with fully equipped with barbecues and comfortable outdoor furnishing, make your gatherings more entertaining and fun at these rooftop terraces in the Cornell Condos & Townhomes Phase 8. Minutes walk to Public transit, Markville Mall, schools, Major banks and retail shops, supermarket – shopping, dining and entertainment at your doorstep! Viva Transit to major arterial roads (Hwy 7, 407, 404, and 401), shopping Centre like First Markham Place, Markville Mall, etc., and top rated school zone includes elementary school, high school, and future York University are in the local area. Carlton Park, Toogood Park and Thomas Frisby Woods are some of the parks closest to the Cornell Condos & Towns Phase 8 in Markham.